1. 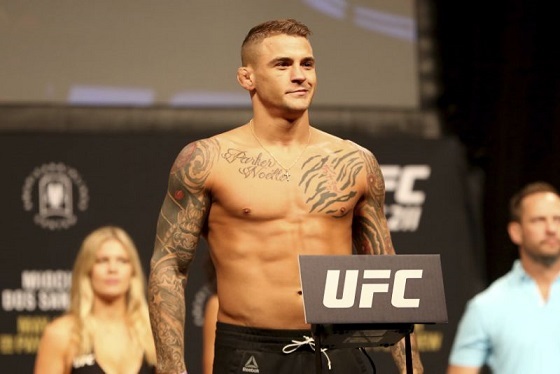 The news that Dustin Poirier will be facing Nate Diaz at the Madison Square Garden in New York City on November 3, 2018 was first reported by Lance Pugmire of the Los Angeles Times. According to Pugmire's report which was published on August 2, 2018, the bout between the two top lightweights will be the co-main event for UFC 230. However, an official announcement hasn't been made by the UFC. The organization was expected to make the announcement at a press conference in Los Angeles on August 3, 2018. "Advance ako mag-isip" or "advanced ako mag-sisp" is a meme that was born out of a television news report that originally aired on 24 Oras, an evening news program on the GMA 7 channel. The news report was by Emil Sumangil and it aired on the June 12, 2018 edition of 24 Oras. 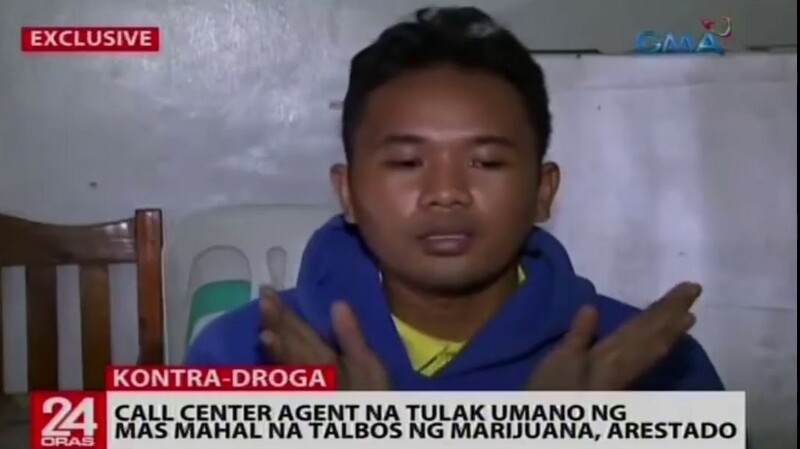 The story centered around 25-year-old Albert Mangapit who was arrested by the Philippine police during a buy-bust operation. Prior to the bust, Mangapit worked as a call center agent. Mangapit's humorous and often nonsensical answers to interview questions by the news reporter after his arrest quickly went viral getting hundreds of thousands of views on YouTube. And thus a meme was born. "Advance ako mag-isip" memes spread online especially in social media sites like Facebook, Twitter, and Instagram. Some netizens also started making parody and satiric videos of the news report. 1. Di na ako maliligo, papawisan din naman ako sa pagtakbo. Advanced kasi ako mag-isip. 2. Simula pa lang ng Quiz sa Math naglagay agad ako ng score na zero. Advance ako mag-isip. 3. Yung hindi ka na umamin kasi alam mong mababasted ka lang din. Advance ako mag-isip. 4. Hindi muna ako magjojowa kasi sa una lang yan masaya, magsasawa din siya sa akin at iiwan niya ako sa ere kapag nakahanap siya ng mas better sa akin. Advance ako mag-isip. 5. Maghugas ng puwet bago tumae. Advance ako mag-isip. 6. Nagbihis muna bago maligo. Advance ako mag-isip. 7. Yung mahal mo na kahit di mo pa kilala. Advance ako magmahal. 8. Kunin ko na agad ang backpay ko bago pa ako magstart sa work. Advanced ako mag-isip. 9. Huwag ba i-charge ang cellphone. Malowlow-bat din naman. Advance ako mag-isip. 10. Maligo na dalawang beses para bukas hindi na maligo. Advanced ako magisip. 11. Bakit ako matutulog, eh gigisng din naman ako. Advance ako mag-isip. 12. Bakit pa kailangan kumain eh itatae mo din naman yan. Advanced ako mag-isip. 13. Hindi na ako pumasok. Mag-uuwian din naman. Advanced ako mag-isip. 14. Di ko kelangan ng pera. Kasi magagastos ka lang din yan. Advance ako mag-isip. 15. Di ko na kailangan maglinis ng bahay. Kasi madudumihan lang din naman. Advanced ako mag-isip. The man behind the meme is Albert Mangapit, a former call center agent. The news report appeared on 24 Oras and was reported by the journalist Emil Sumangil. The humorous news report got more than half a million views on YouTube. There are a lot of reasons why you might need an original copy of someone’s death certificate. The good news is that it’s not that hard to get a copy. If you are a family member of the deceased, all you need is a valid ID. Without further ado, here are the steps you need to follow in getting a death certificate in the Philippines that’s certified by the Philippine Statistics Authority (PSA). Step 1: Get a valid government-issued ID. You are only going to need just one valid ID but I highly recommend that you bring with you two valid IDs just to be sure. I’ve heard that some offices of the PSA require applicants to present more than one valid ID when applying for a death certificate. For disclosure purposes, I acquired a death certificate at a PSA office in Baguio City. They only asked for one valid ID. I presented my voter’s ID and they accepted it. Step 2: Go to the nearest PSA office near you. 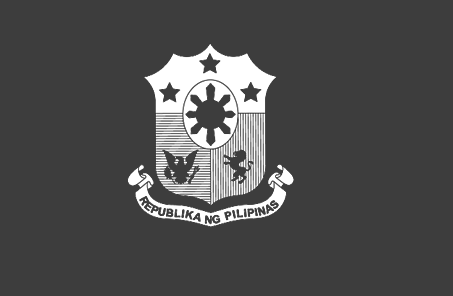 Go here to check a complete list of all PSA offices in the country. Find the one that is most accessible in your area and go to it. Don’t forget to bring a pen with you. Some offices have very limited number of pens which means you have to fall in line just to use a pen. So bring a pen with you. Step 3: Get a copy of the application form for death certificates in the Philippines. You can usually get a copy from the guard manning the entrance of the office. The death certificate application form is a one-page yellow form. It’s not for sale so if there are people trying to sell you a form, don’t entertain them. You should report them to the authorities instead. Fill up the form then proceed to the “payments window”. This window is where you submit the completed form. The officer will also ask you to present your valid ID. He/she will ask your relation with the deceased. You should answer the questions as honestly as you can. How much is the death certificate? I paid only 155 pesos at the PSA office in Baguio City. I don’t know if other PSA offices in the country collect the same amount. I’ve heard that the amount varies depending on the province and region. To verify, just visit the PSA office nearest you. The fees and charges are usually posted where anyone can see them. Step 4: After payment, you will be asked to sit at the waiting area and wait for your name to be called. If your name is called, proceed to the “release window” and get the death certificate you applied for. That’s it. The whole process can be completed in under an hour provided that there are no long lines at the PSA office. To request for a death certificate, you need to provide the following information. You are going to input these details when you fill up the death certificate application form. 7. Purpose of the requesting party in getting the death certificate. You are going to choose if you’re going use the death certificate for any of the following purposes: claim benefits/loan, passport/travel, employment abroad, local employment, school requirements, and others. Nieves Fernandez is probably a name that you haven’t even heard of. Well, that’s all right because majority of Filipinos don’t know her either. However, she is a character that should be more well-known because she played a very important role in the resistance against the Japanese occupation of the Philippines during World War II. Fernandez organized and led a band of more than 100 guerrillas in Tacloban, Leyte. The story goes that Fernandez and her group is responsible for the deaths of more than 200 Japanese soldiers. 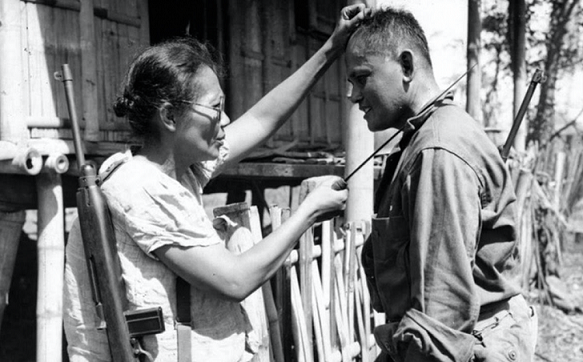 They used long knives (bolos) and customized shotguns in their campaigns against the invading Japanese soldiers. A former schoolteacher, Fernandez joined the resistance and rose to the rank of Captain. She trained her men in guerrilla warfare and taught them how to build improvised weaponry like shotguns made from pipes. Due to her successful attacks on the enemy, the Japanese Army posted a reward of 10,000 pesos for her capture. She was never captured. She fought in the resistance for two and half years. She was wounded just once as evidenced by a large scar on her right forearm. Fernandez demonstrating how she and her group of guerrillas killed Japanese soldiers during the war. Photo by Stanley Troutman. Fernandez and her men had very little firearms, so they had to improvise. After the war, she narrated that her group of more than a hundred guerrillas only had a few American rifles. So they made weapons themselves. At one point, they even started making grenades. Prior to the war, Fernandez also ran a family business. The invading Japanese soldiers took her business away. Fernandez lived a long life after the war and died at the ripe age of 91 in 1996 or 1997. She had three sons. An Honest PlanProMatrix Review: Is It A Scam? Is It Legit? Is It Worth Your Time? Why are you here? 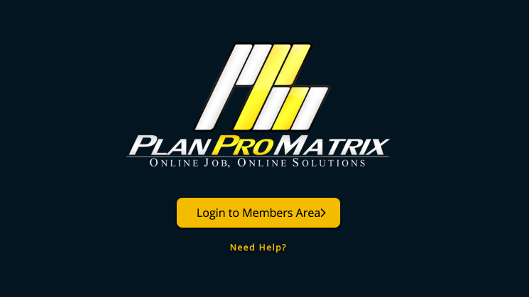 Why are you reading this PlanProMatrix review? My guess is that somebody is trying to recruit you to join PlanProMatrix and that you want to know more about the business before you decide to invest your hard-earned money into it. Good, that’s good. And you are in luck because I’m here to try and tell you everything you need to know about PlanProMatrix and its business model. I’m going to try to answer the most common questions about the business. Is PlanProMatrix a scam? Is it legit? Can you really make money from it? Can you make a decent income from its data-entry job offers? Is it network marketing? These are just a few of the important questions that I’m going to provide answers to in this honest PlanProMatrix review. First of All, What is PlanProMatrix? Now that you know what the company is and what its products and services are, it’s time we go to the nitty-gritty of things. Before anything else I am going to be brutally honest with you and tell you right now that I won’t recommend PlanProMatrix if you’re looking for a stable and sustainable source of income. I’m going to explain this as clearly as I could so please read on. I’ve been studying network marketing businesses for years and I know how they operate, how they attract customers, and how they often crash and burn as their target market reaches a saturation point. Is PlanProMatrix a Scam? Is It Legit? PlanProMatrix is not a scam but this doesn’t mean that it’s legit. Allow me to elaborate what I mean by that. The company’s main business model is network marketing. To really make money from them, you have to do a lot of recruitment. I’m sure you are familiar with this business model and I don’t have to tell you that it’s a business model that’s both unstable and unsustainable. You will be making money from your recruits and they in turn earn money from their own recruits. The problem with this is that there’s an absence of a real product or service that’s of real value. You make money by selling an opportunity to a person. That person then makes money by reselling the opportunity to another person. Keep in mind that this is the main business model of PlanProMatrix. I repeat, you earn an income through recruitment. And I say it again, that’s a recipe for disaster because it’s unstable and unsustainable. You know what they say about this type of business scheme? Only the top 1% to 5% are making any real money. The remaining 95% to 99% are making money for the top 1% to 5%. To become a member of PlanProMatrix, you need to invest 600 pesos. That’s the price you pay to get the opportunity to recruit other members. If you can’t see what’s wrong with this picture then you need to read more about pyramid schemes in the context of network marketing or multi-level marketing (MLM). It’s a business model that’s unacceptable and unethical because there’s nothing of value being exchanged in the transactions other than the promise that you can line your pockets with money from your recruits. Remember Supreme Wealth Alliance (SWA) or Ignition Marketing? Do you remember a few years ago how your Facebook newsfeed got swamped by posts about Supreme Wealth Alliance (SWA)? I’m sure you can remember. You want to know why you no longer see these posts? It’s because the business has ran its course. People soon realized that it’s unstable and unsustainable because SWA wasn’t offering any product or service that is of real value. Only a small fraction of those who joined SWA actually made any money. The same can be said about Ignition Marketing. They have identical business models that, I say it again, unsustainable and unstable. Unless PlanProMatrix revamps its business model and money-making scheme, sooner or later, it will have have the same fate as SWA and Ignition Marketing. How About PlanProMatrix’s Data-Entry or Encoding Jobs? I’m going to be very honest with you. Even if you spend hours and hours with the company’s data-entry tasks, you are going to make money that’s way, way, way below the minimum wage. You are literally earning peanuts for too much work and too much time spent. It’s just not worth it. How about those people on Facebook saying they’ve earned thousands of pesos doing data-entry jobs on PlanProMatrix? Most of the time, those are manufactured posts. Copied and pasted over and over again. Those are merely baits used to lure you into joining PlanProMatrix. Just because it’s on the internet doesn’t mean it’s true. The data-entry job offers are just a front to entice people to join PlanProMatrix. And then there are the reports by a growing number of members that the data-entry software often suffers from glitches. Some people are getting banned for very simple infractions. Some people are losing the few pesos that they earned because of these simple infractions. If you really want to earn from data-entry, there are a lot of companies out there that truly offer such services. You can find them if you take the time to look. How About Their E-loading Opportunity? Just like the data-entry job offers, the e-loading is just another front to entice you to join. The e-loading business is already an over-saturated niche. And you will be competing with large businesses that already offer better and much more efficient e-loading systems. If you really want to start a stable and sustainable e-loading business, then go for it using tried and tested business models. Do you really think you will have an edge over other people in the e-loading business just because you are using a system by PlanProMatrix? Sinisiraan Ko Ba Ang PlanProMatrix? This is one of the things that I really dislike about the mentality of Filipinos when it comes to constructive criticism. When you criticize a business company and its business model, you will be accused of “paninira”. There’s absolutely no reason why I should take the time and effort to destroy PlanProMatrix. All I want to do is educate people about PlanProMatrix and its business practices. You can join the company if you truly think that you can earn good money from them. But you should let this article serve as a warning that things will more than likely be not what you’d expect from them. I say it again, I have no axe to grind with PlanProMatrix. I don’t know any of the founders. I simply want to educate people about the prevalence of shady promises in online-based companies especially those whose business model revolved around network marketing and recruitment. Ultimately, the choice is yours whether you will join PlanProMatrix or not. It’s your money that you’re going to invest so you can do anything you want with it. However, before you make your final decision, I want you to take into consideration everything that I’ve said in this review article. I also suggest that you read other reviews whether it’s positive or negative like mine. The more reviews you read about the company, the better chance that you’d come up with a clearer understanding of the company and its business model. With that said, good luck and thanks for reading.